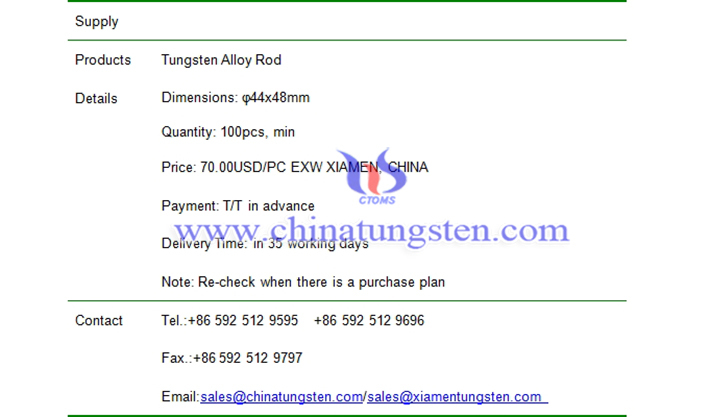 φ44x48mm tungsten alloy rod price is 70.00USD/PC on Nov. 30, 2018. 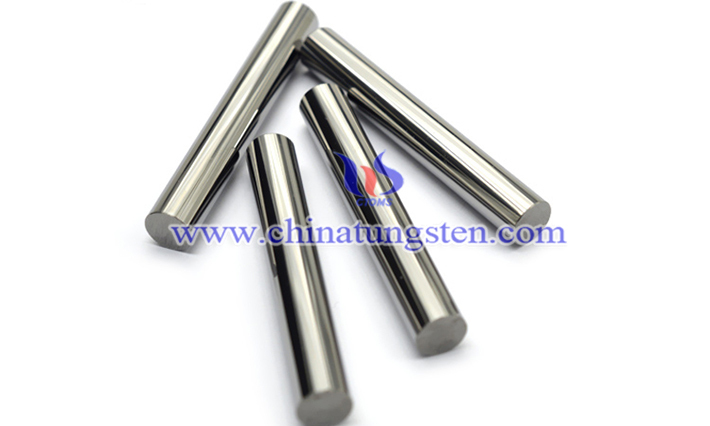 As its high density, high melting point, small capacity, excellent hardness, superior wearing resistance, high ultimate tensile strength, high-density, good machinability, good mechanical properties, high modulus properties, harmless to the health and environment etc, tungsten alloy rod is increasingly welcomed by public. Besides, we can manufacture and offer tungsten alloy rod as the counterpart of anviloy 1150, whose properties are much similar.